Someone already beat me to it, Sam is the author of the Song of Ice and Fire. My imagination this morning has run to Winterfell falling and being destroyed, forcing everyone south. Jon will die, maybe in an epic dragon battle with the Night King. The Hound and the Mountain are the champions in a battle to decide who sits on the Iron Throne. The end is the winner removing her face with Arya on the Iron Throne. So many exciting and unpredictable possibilities. 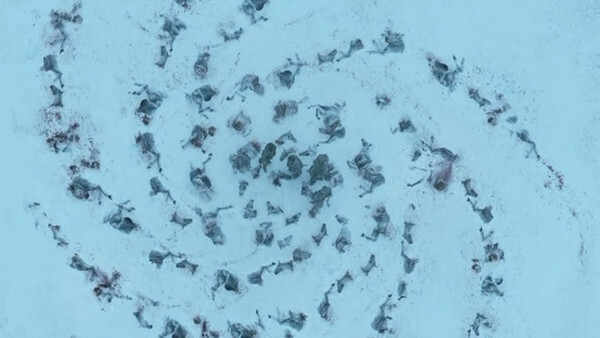 I hope there is some explanation of the White Walker symbol... I mean, this was just creepy!! I haven't watched the first episode yet (and therefore also haven't read any comments) but saw that a poll has been added. I voted "Other" for Bran Stark. I could easily have voted for the "Night King" as well since Bran and The Night King are one and the same. This to me was the most satisfying episode 1. Not much action wise or even a ton for intrigue but it was the most happy everyone has been in a while with all the reunions. I’d love to better understand fan theory on this topic. I’m not saying not possible, but why would Bran/Three Eyed Raven warn his family that the Night King and an Ice Dragon are coming if he is the Night King. I don’t recall which season/episode where they encountered each other in dream state, that might be worth a rewatch. 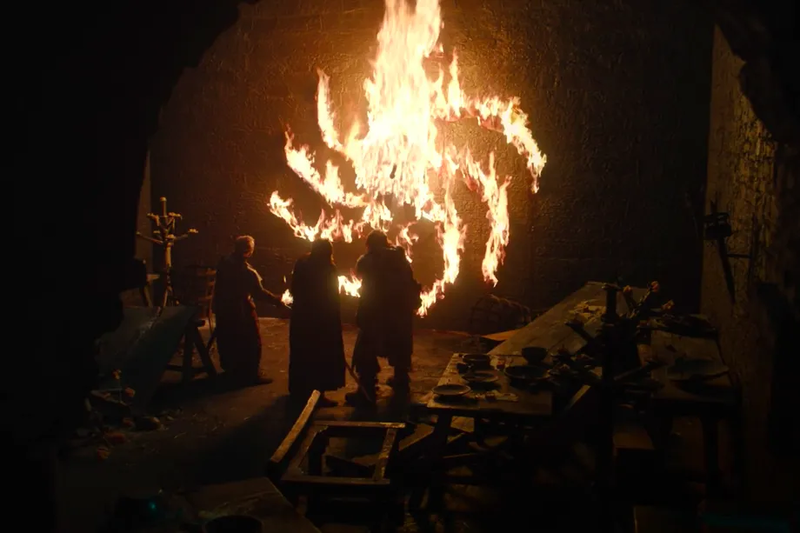 Beyond raising the dead, it is not clear the extent of the Night King’s powers. 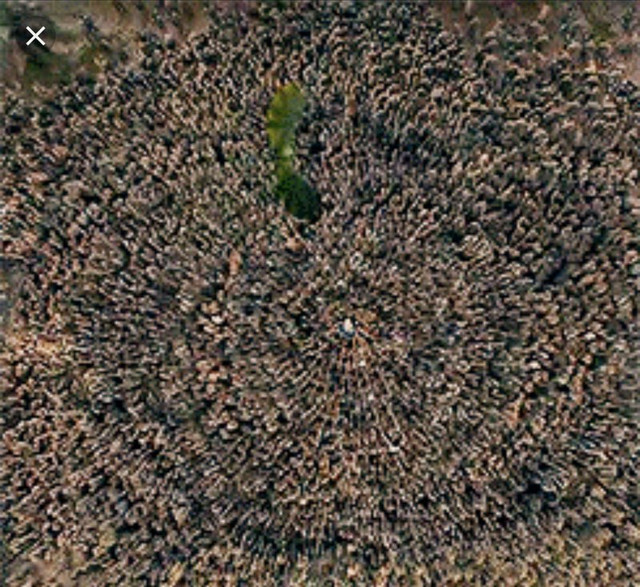 Will be interesting to see if the Children of the Forest have any further role to play. We’ve never seen Bran visit the future. You’d think that would be a powerful tool in determining how best to defeat the Night King a la Dr. Strange in Infinity War. In a nutshell; Episode 3 doesn't go in the good guys favor. Bran wargs into the past, first trying to warn the Mad King of the threat of the WWs and to better prepare the defenses in King's Landing. This turns the Mad King Mad and basically Hodor-izes him i.e. "burn them all." Since time is a closed loop and it doesn't work, he travels further back to work with his ancestor Bran the Builder and create the wall. Then he goes alllllll the way back to try and reason with the Children who are about to create the Night King, warging into him so he can speak directly to them. He stays too long and the "it's beautiful under the sea, but stay too long and you'll drown" idiom comes full circle, trapping Bran in the Night King forever. I don't know if I buy it, because it creates a few too many Back to The Future issues from them existing at the same time, but it could explain a few of the goofy "why did the WWs bring 1000 ft chains with them to dredge Viserion" questions. O I voted other because I like taking the field! I could see multiple types of endings. I could see Gendry, Jon, or Sam "taking" the throne but not wanting it so they turn their political system into a democracy. This is my vote. WW defeated but all the dragons die in the fighting, thus ending magic in the world for good. Dany and Jon are on the throne, Sansa gets named queen in Danys stead to rule for her across the narrow sea and bring peace to that area. Arya goes with Sansa to become her queens guard captain. Sam being the only male Tarly left becomes head of his house and warden of the South he also marries Gilly. Tyrion is named warden of the East, Bran warden of the North, and West idk yet. Cersei goes mad king on everyone and Jaimi kills her to become a queen slayer. Dany dies, Jon lives but doesn't want to rule so he with the smarts of Sam create some type democracy where the people have more say. I got more to say but need to get back to work. I admire the logic and thought behind the theory. It takes a to this point high fantasy tale and warps it with a big scifi time travel butterfly effect. I’d be left feeling cheated if this is how Game of Thrones plays out. if viserion is an ice dragon, how did he melt the wall? It didn't melt, it just got blasted to bits. 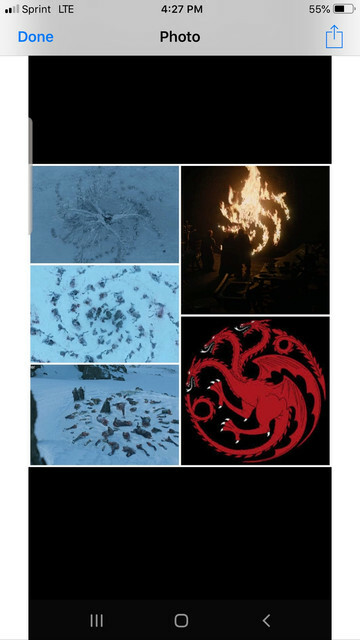 [QUOTE=JasonEvans;1156498]I hope there is some explanation of the White Walker symbol... I mean, this was just creepy!! Courtesy of me and my wife's conversation lol. If you had asked me a year ago, I would have (and probably did) confidently stated Littlefinger. Oops. I'm voting "Other" in honor of that... and now I'll explain it as the Iron Throne not existing at the end. The Night King or Other (because they're all dead) might be a great bet if we're to believe Martin was being at least a little serious. Of course, capitalizing 'snow' in the quote gives it an entirely different GoT-specific meaning. anybody got any good links to watch S8E1 from Costa Rica without an HBO account? I looked a bit on Reddit, but all the links want me to "sign up for a free account". Which seems mighty suspicious to me. I realize HBO is pretty dang jealous about their property, but if there's a Iron Isles way to watch it, i'd be mighty appreciative for the knowledge. Yeah the show has hurried things along poorly imo. I enjoy it but they ruined Littlefinger who most certainly will sit the throne (briefly) in the books. Ruined Jorah as well as Arya and they even acknowledged in episode 1... No war elephants. Now that is disappointing. Maybe LF is still alive and the guy we saw die was actually a faceless man paid by LF to impersonate him. Holding out hope. I imagine Arya grabbed that face. She likes to collect them, you know. Never know when they might come in handy (remember Walder Frey?). Game of Thrones 2014 - no book spoilers, please!